I’m excited to share, I’ve partnered with Everlane to give you a look for Winter. In case you’ve been living under a rock, Everlane is a clothing company which provides exceptional quality, uses ethical factories and is extremely transparent with their prices. In this partnership, I chose four items that are exceptionally soft and cozy. Luckily, Seattle has been covered with snow, so it was the perfect opportunity to test the coziness. After a day in the cold I felt extremely comfortable in my clothing choices. Not only was everything remarkably soft, I was really impressed with the vibrant colors. To shop my look, click the links below. I’m excited to announce #MeetMyCrew, a fall fashion event featuring J. Crew, Hector_diaz and myself on September 28th at Pacific Place Mall at 7-9pm. At this event you can shop the newest Fall collection, get style tips and enjoy refreshments. Attendees will also receive 20% off $125+ clothing. More details below. See you there! I’m loving Casio’s Edifice (EQS800CDB-1AV) watch. The stainless steel body is clean without being overly flashy. I found this watch excellent for the person who likes to stay stylish in any setting. Now that we talked about the look, let’s discuss function. Casio’s Edifice timepieces features include multi-layered dials, world time, daily alarms, water resistants to 100M and more. My favorite feature about the watch is the solar-powered function. If you’re looking for a good idea for Father’s day, this could be it. I’m finally ready to release this short Instagram video I produced about Toronto Men’s Fashion Week. 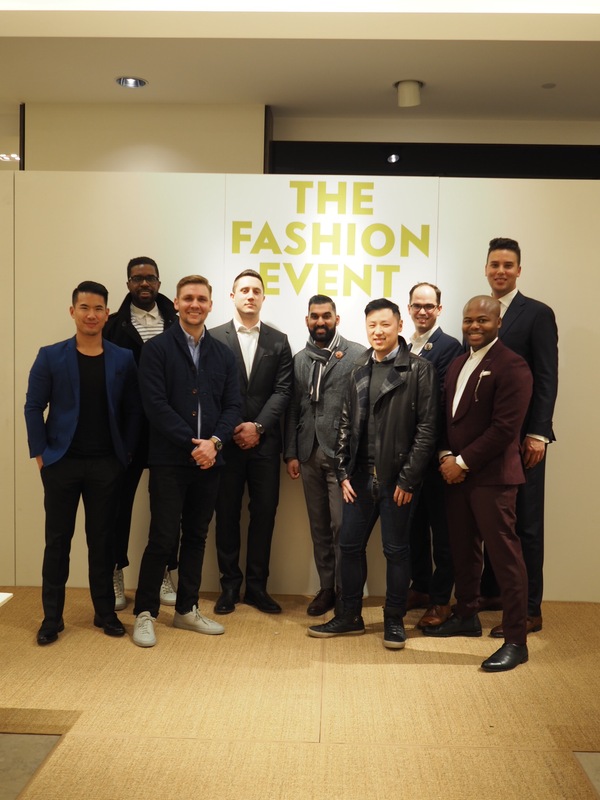 Toronto Men’s Fashion Week showcases the best men designers in Canada and around the world. This 7 day show featured a wide range of designs including clothing Hip and Bone, Tweed (clothing made from cannibis) and wearable tech from Stack. I’m excited to announce I’m partnering with Olle Quinn to provide my followers with a code “OQAntonio” to get 10% off a new pair of glasses. If you’re thinking of getting a new pair of frames, now is the time. This promo is only going for the month of February. On a side note, what do you think of my new specs? I’m excited to share this project! Departure is an editorial project centered around the creative male that strives to break away from the norm and lives to create and inspire. Departure aims to capture Seattle urban street wear through the lens of its male influencers. Departure will showcase five Seattle-based creative male influencers and how they aim to break away from the norm and stand out in this overly-saturated creative community in Seattle that is often female-dominated, especially in the world of blogging, modeling, podcasting and photography. 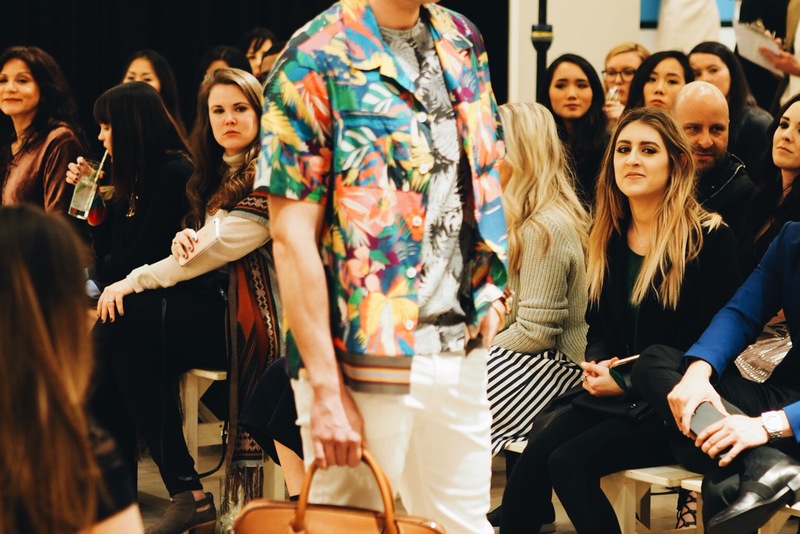 Neiman Marcus hosted a spring runway show last night at The Bravern. Above are a few of my favorite male styles. It was good to finally connect with some of favorite female bloggers from Seattle, and some of my fellow Seattle Gents. Look for mixing stripes and textures trends this Spring 2017. Seattle Gents x The Art of Shaving from Antonio Smith on Vimeo. Thanks to The Art of Shaving and Teavana for collaborating with the Seattle Gents. During this exclusive event we received a thorough demonstration on shaving techniques, and information on special holiday deals on grooming products. If you’re looking for stocking stuffer ideas, I would recommend checking the Art of Shaving. During the demonstration we sampled Teavana’s limited edition White Chocolate Peppermint Rooibos tea to sip on. The tea was a perfect choice to warm our spirit during this chilly Seattle weather. I am a world traveling creative who lives in Seattle,WA. I enjoy traveling, fashion and Lifestyle.